Mr. Charlie T. Braswell, 79, of Greensboro passed from this life on Saturday, October 20, 2018 at Hospice of Greensboro’s Beacon Place. Funeral will be 1:00 PM Thursday, October 25, 2018 at Gospel Baptist Church. Burial will be 3:00 pm at Guilford Memorial Park. Charlie was born in Wilson County, NC to the late Kennell and Marie Braswell. He was a 1958 graduate of Springfield High School and went on to retire from Sutton Upholstery. 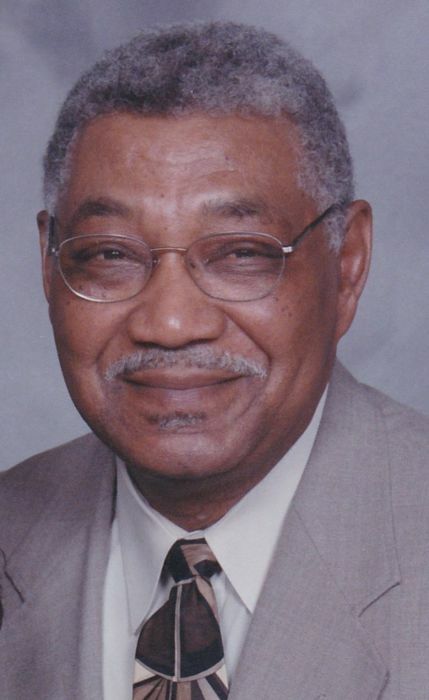 Charlie was a member of Gospel Baptist Church where he served as a deacon and an usher. Charlie also had a passion for classic cars, old westerns, fishing, and his beloved Carolina Panthers. He leaves behind to cherish his memory beloved wife, Gloria D. “Baby” Braswell of the home; sons, Charles T. Braswell (Yolanda) of Raleigh and Christopher T. Braswell (Tracy) of Charlotte; brother, Thomas Donald (Pearlie); sisters, Thelma Forbes (Jimmy), Doris Deans (Robert), and Shirley Brooks (William); Curtis Cannady (Elois) love brother, Helen Paylor love sister, four grandchildren; five great grandchildren; and a host of nieces and nephews. The family will receive friends from 12-12:45 pm Thursday at the church prior to the service. George Brothers Funeral Service is assisting the family with funeral arrangements.